According to the FBI a burglary is committed somewhere on average every 10.5 seconds. To avoid being the victim of one of them there is a wide range of steps a homeowner can take. Some, like locking doors or arranging for neighbors to watch the house, are free and just require a little planning and thought. 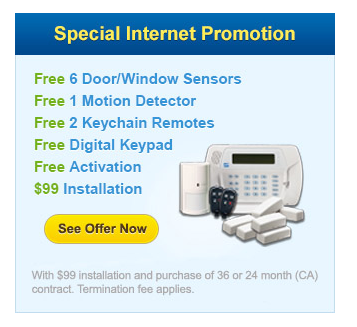 Others, such as the installation of a sophisticated alarm system, can be moderate to expensive. But whether cheap or dear, your home and its possessions – and most of all, the safety of your loved ones – is paramount. Start by thinking of your home from the perspective of the potential thief. Walk around the outside and try to spot weaknesses, possible points of entry, areas where a housebreaker can gain undetected access. Scale back bushes that can serve as camouflage. Think about the unprotected glass that is low to the ground. Then, perform the same review at night. Consider the lights and shadows around your home. Think about any pathways that a stranger can walk down unheard and unseen. Consider the curtains and shutters that are open, allowing a well-lit view of the interior downstairs. Start inexpensively by addressing the basics that cost little or nothing. A sturdy wooden or metal dowel can bar a sliding window. Good bolt locks won’t keep out every professional, but they’ll slow down many amateurs seeking that status. Make reciprocal arrangements with the nearby neighbors to watch their place, while they watch yours. Burglars look for easy targets. Targets are much easier when there’s no one home. Fooling them into thinking you’re home can be as simple and inexpensive as installing a few timers around the house. A light on all the time, especially during the day, makes it obvious that no one is home. But lights, stereos, and TVs that go on at random times simulate normal use. A dozen can be installed for under $100 dollars and often much less. 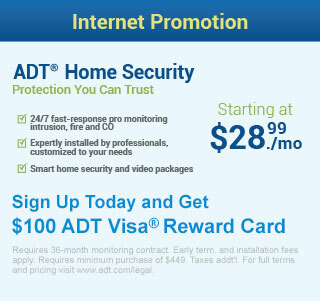 There are many home security systems that cost about a dollar a day. That’s pretty low ‘insurance’ against what could be a very expensive loss. Having one will also sometimes lower your actual homeowner’s insurance premiums. Many can be installed without professional assistance. Several have low-cost battery backups so they still function during a power outage (natural or burglar-induced). Go a step beyond the minimum. Many security systems will alert when a door or window is opened while alarmed. But a cheap glass cutter could make the whole system useless. Consider a type that has a vibration sensor or cut detector. Look into an upgrade that offers motion detection. No alarm system is foolproof. But making the effort to implement some simple, low-cost solutions can improve your odds tremendously.